Read this page before running or starting any other repetitive exercise with your dog. Many dogs are unprepared for intense endurance exercise for even short duration's making them susceptible to injuries. Injuries can go unrecognized for long periods of time. Very important you consider your dog’s fitness and weight prior to exercise. Always start with a vet check to make sure your dog is healthy AND physically capable to participate in the exercise which should include an evaluation your dog’s structure and gait for any weaknesses. Many dogs are willing to do anything we ask and often have a strong desire to participate, but we should be careful we are asking them to do more then their body can comfortably do. Be careful that you are breaking your dog's body down which will result in crippling arthritis as they age. "Your Athletic Dog" is an excellent book/DVD to understand how to condition your dog. The dog’s structure will affect their endurance and susceptibilities to injury. There are more than 25 structural issues that will affect endurance or performance. For guidance on identifying structural issues, Pat Hastings book is a great resource. Structure in Action: The Makings of a Durable Dog To reduce chance of injuries your dog will need recovery time. Welcome to Urban Mushing - home of the Southern California Working Snow Dogs - a group of humans and their canine companions indulging in different fun dog-powered activities for the working dog. Our dogs LOVE to run and pull and we give them a chance to get the exercise they need and deserve through various "mushing" type activities such as dog scootering, carting, bikejoring, canicross, skijoring, weight-pulling, and yes, dogsledding. Most of us are also avid hikers and take our dogs backpacking as well as snowshoeing during the winter. Dogs have an amazing sense of smell and a natural desire to hunt. The sport of K9 Nose Work is designed to develop your dog's natural scenting abilities by using their desire to hunt and their love of toys, food and exercise. It's a great way for your dog to have fun, build confidence, and burn lots of mental and physical energy. The North American Flyball Association, Inc. (NAFA) was established in 1984, when 12 flyball clubs in Michigan and Ontario banded together to guide the development of flyball in North America. Today, with over 400 active clubs and 6,500 competing dogs, NAFA is recognized as the world's leading authority on flyball and the sport's top sanctioning organization. NAFA is a nonprofit organization. http://www.flyball.org/getstarted/california.html Tournaments are open to all dogs, including mixed breeds and ALL purebreds (including the bully breeds). NAFA will not sanction a tournament at a site that excludes dogs on the basis of breed unless the exclusion is mandated by governmental law or ordinance and the host club has attempted and been unable to qualify for an exemption to governmental exclusions. Super Dogs - Super people! Come on out and meet the gang! High Flyin' Fun, Southern California Style! Disc Dogs in Southern California (D2I.S.C.) is a group of disc dog fanatics whose main purpose is to have fun while promoting canine disc as a great way to keep family pets happy, healthy, and in shape. We organize a series of informal playdays and clinics throughout the year where our members and prospective members exchange training ideas. We also hold several competitions which are a great place to have fun and strut your stuff. We perform a variety of shows for dog related charities, humane societies, sporting events, and schools throughout the year. Several of our members are Regional, National, and World Finalists in competition, so our events are a great place to learn the ropes from some of the top teams in the country. Check out our event schedule, and we hope to see you at the park soon! Welcome to the USDDN, the online home for the US Disc Dog Nationals Championships Series featuring the US Disc Dog Nationals Championships Weekend. The US Disc Dog Nationals is organized by a Steering Committee including members from many of the country's disc dog clubs. We look forward to welcoming you to the Nationals Championships Series events. APDT Rally is a fun and exciting team sport for dogs and their handlers! Yes it is true, dogs can fly with the help of a 40ft dock, a body of water to cushion the landing, and the drive to get the toy! Welcome to California's premier DockDogs club, SoCal DockDogs. There are many different levels of dogs and breeds that compete. DockDogs®Competitions can be comprised of fourcontests; BIG AIR, EXTREME VERTICAL (EV), SPEED RETRIEVE, and IRON DOG. Big Air is the most popular discipline of DockDogs® and the oldest of the four disciplines. Big Air is nothing more than a long jump for canines. In Big Air the dog is judged on the distance it can jump from the edge of the dock into the pool. Big Air is the easiest and most beginner friendly of the three disciplines of DockDogs®. Dogs have the use of the entire dock surface (up to 40’) in which they can run and jump into the pool. The distance jumped is measured from the edge of the dock out into the water where the base of the dogs tail first breaks the surface of the water. A dog does not have to retrieve the toy in order to obtain a score. Big Air is divided into six different divisions so all dogs with different jumping distances can join in the fun and have success. Extreme Vertical is commonly referred to the high jump of the canine water sports. This event consists of the dog launching vertically to reach a bumper suspended in the air. Dogs are not judged on distance for this discipline, instead the dog is scored on how high the bumper is snatched from the pole. Watching dogs compete in Extreme Vertical is a very impressive sight to view. Speed Retrieve is comparable to a sprint or drag racing. The concept is simple, a dog sprints down the dock, jumps in the water, and swims very fast to retrieve a Dead Fowl Trainer Duck suspended at the far end of the pool. This is a timed event, the less time it takes a canine to grab the Dead Fowler Trainer the better the score. DockDogs® Iron Dog competition is the newest DockDogs® Sport. It combines all of the above three competitions and your dog receives a total number of points based on how well they performed in each discipline. Do a google.com search for a group in your city. Canicross is the sport of running cross-country with a dog or dogs attached to you (hands-free) and pulling you forward. Do a google.com search for more information. Owners of mixed breeds can enjoy the thrill of competing for titles in obedience, conformation, tracking and much more. The Mixed Breed Dog Clubs of America (MBDCA) is a national registry for mixed breeds, providing many of the same opportunities that the American Kennel Club (AKC) offers for purebreds. We are not a mixed bred placement center nor do we provide rescue services. Contact your local humane society or shelter if you are interested in placing or adopting a mixed breed dog. Search for a club in your area. Click on any link below from the DogPlay.com website for additional information. Now go play! Dog Scootering - some dogs love to run. Adding the responsibility of teamwork adds to the fun. Dog parks may be okay for a small number of dogs that are easy going and don’t choose to bother other dogs but that requires that all the dogs in the park fit the same profile. Some owners bring aggressive, pushy, or simply unruly dogs to the dog park without regard to the effect they have on the park dynamics. Others bring under-socialized dogs to the park thinking that this will help socialize their dogs. The reality is the dog park is not the place for these dogs to be with their current behavior. A common problem with many dog parks is that the park is too small. The size is not practical in regards to the size of the population that they are expected to serve. If even half the dogs in a community tried to use the local dog park during its hours of operation it would be more then overcrowded. It would look more like a crowded holding pen. Communities create a small dog park that is to serve thousands of dogs in a geographic area. 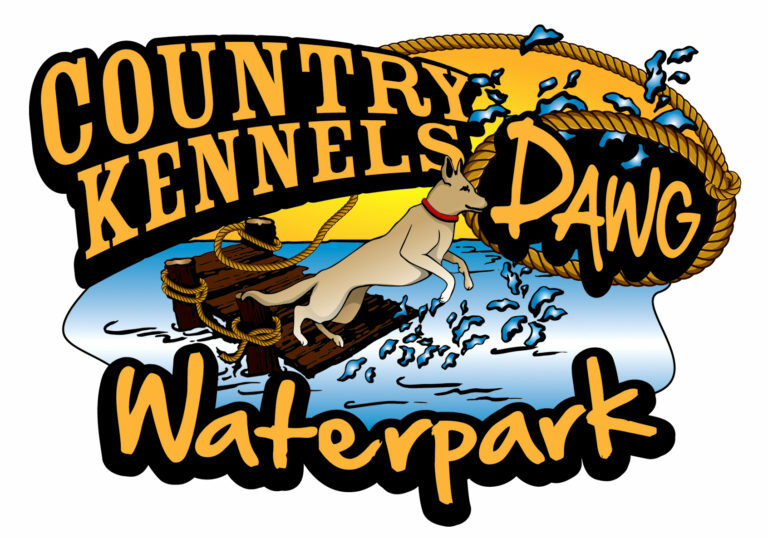 This park is expected to accommodate all types of dogs and play styles and levels of maturity. The humans often have the unrealistic expectations that all the dogs will get along. This is not a realistic expectation of humans but many expect it of dogs. Dogs like humans have differing personalities and likes and dislikes, not to mention play styles. Some dogs welcome the opportunity in a dog park to just be a dog and take in all the scents they find in the environment. Others enjoy retrieving a ball or toy, some a game of tug with another dog, and still others just want to run or engage in chase games. Problems arise when dogs that like to roughhouse attempt to engage in that type of play with another dog that does not enjoy the heavy contact. If you prefer to just throw free throws with a basketball, you do not appreciate being tackled. When recreation activities are organized for humans we set up these activities and match the participants according to their abilities, age, weight, and preferences. We have designated areas for no contact sports such as golf, or running. We have flag football for those who don’t wish to play tackle football. We have limited contact sports like baseball and basketball. When we invite people to get together we base it on compatibilities. We should do the same for our dogs. Just having a large and small dog area does not qualify. The challenge for many dog owners is finding a place they can legally and safely let their dog off leash. Sadly many dogs never get to enjoy this freedom. The place where dogs play hard and go home tired! What makes our day care different from others is at Cool Dog Day Care dogs are allowed to play hard at our highly social dog gathering. We can encourage this kind of play because our staff is professionally trained to read dog body language. As dog trainers, we rely on our education and skills to anticipate trouble well before it happens. No water squirt bottles are used. The benefit to you is your doggets to play hard in a safe environment and you get a very tired dog for the next couple of days! Monday, Wednesday, Thursday & Friday7:00 a.m. to 6:00 p.m.